Prime Minister Narendra Modi on Sunday paid his tributes to former counterpart Indira Gandhi on her birth centenary today. NEW DELHI: Prime Minister Narendra Modi on Sunday paid his tributes to former counterpart Indira Gandhi on her birth centenary today. 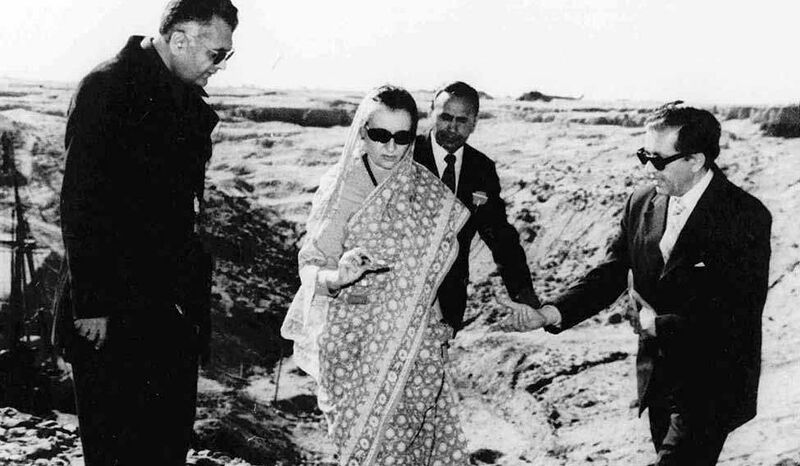 “Tributes to former PM Mrs. Indira Gandhi on her birth anniversary,” he tweeted. Former Prime Minister Manmohan Singh and Congress Vice President Rahul Gandhi also paid their tributes to Gandhi on her birth centenary. Tributes to former PM Mrs. Indira Gandhi on her birth anniversary. A central figure in Indian politics, Indira Gandhi was the first and, to date, the only female Prime Minister of India. Born on November 19, 1917, Gandhi served as Prime Minister from January 1966 to March 1977, and again from January 1980 until her assassination in October 1984, making her the second longest-serving Indian prime minister after her father Jawaharlal Nehru, the first Indian prime minister. Gandhi served as her father's personal assistant and hostess during his tenure as Prime Minister between 1947 and 1964. She was elected Congress President in 1959. Upon her father's death in 1964, she was appointed as a member of the Rajya Sabha (upper house) and became a member of Lal Bahadur Shastri's cabinet as Minister of Information and Broadcasting. However, in the Congress Party's parliamentary leadership election held in early 1966 (upon the death of Shastri) she defeated her opponent Morarji Desai to become a leader, and subsequently Shastri’s successor as Prime Minister of India. As Prime Minister, Gandhi was known for her political ruthlessness and unprecedented centralisation of power. She went to war with Pakistan in support of the independence movement and war of independence in East Pakistan, which resulted in an Indian victory and the creation of Bangladesh, as well as increasing India's influence to the point where it became the regional hegemon of South Asia. Citing fissiparous tendencies and in response to a call for revolution, Gandhi instituted a state of emergency from 1975 to 1977 where basic civil liberties were suspended and press was censored. Among the awards conferred upon her, Gandhi, in 1971, was awarded the Bharat Ratna, India's highest civilian honour after leading India to victory against Pakistan in the Bangladesh liberation war in 1971.